Due to unsuitable weather conditions and wind direction, we have taken the decision to stand down The RICOH Lord Mayor’s Hot Air Balloon Regatta® 2018. We have already secured Battersea Park as the dedicated launch site for the 2019 event and can confirm the new standby dates of June 2nd, 9th, 16th and 30th. The RICOH Lord Mayors Balloon Regatta® took off from London City Airport this morning with 26 balloons launching from the main runway! Teams arrived from midnight and had to go through rigourous security checks in order to gain access to the airport and then waited patiently on the runway for the sunrise to appear. At 7am exactly the offical Lord Mayor’s Appeal Hot Air Balloon took off along with our headline sponsor headline sponsor RICOH, the new London City Airport balloon and our other corporate partner balloons; Keltbray, Fortnum & Mason, Longleat, Aberdeen Asset Management, Renishaw, Riney and Mamont and flew north east towards Dagenham. London City Airport are celebrating their 30th anniversay this year and welcomed the Balloon Regatta® as part of their celebrations. This is the third Lord Mayor’s Balloon Regatta® which is now the official ballooning event of London and has the full support of Mansion House and the City of London. #BalloonRegatta was once again trending on twitter throughout the morning and within minutes of take off, pictures, videos and stories were appearing on social media. We are delighted to announce that we are proceeding with The RICOH Lord Mayor’s Balloon Regatta flight tomorrow morning. We have an anticipated launch time of 07:00 with an expected track heading towards Dagenham, Hornchurch, Upminster, Brentwood, and Billericoy. Due to the early start time and lack of public transport, London City Airport will stream the regatta live on its Facebook page but there will be no official spectator facilities at the airport. We are currently on FULL STANDBY for Sunday 10th September. The weather conditions are currently looking favourable, however we are monitoring the wind direction. A further update will be published tomorrow at approx 1pm. We can confirm that the new official standby dates for the Balloon Regatta® will be September 10th, 24th and October 1st. We are now looking at potential dates for September 2017. Please keep checking this website for further updates. The scheduled flight for Sunday June 25th has now been officially stood down. We are now considering alternative dates and will update accordingly. The scheduled flight for Sunday June 18th has now been officially stood down. We remain on full standby for the next date of June 25th. The scheduled flight for Sunday June 11th has now been officially stood down. We remain on full standby for the next date of June 18th. The scheduled flight for Sunday June 4th has now been officially stood down. We remain on full standby for the next date of June 11th. London City Airport will accommodate the first mass cross-London flight to launch from a major airport, when it plays host to the annual Lord Mayor’s Hot Air Balloon Regatta® in June this year. The official ballooning event of The City of London, which is being staged at the airport as part of its 30thanniversary year celebrations, will see more than 50 hot air balloons taking to the skies – the highest number recorded departing from a UK international airport. 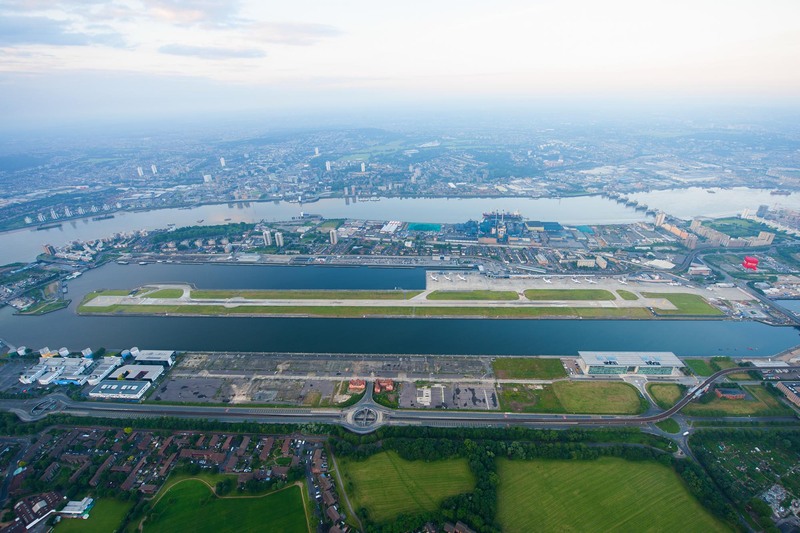 During the 15-minute launch period, London City Airport is likely to be one of the busiest international airports in the world, based on the number of ‘movements’. An international array of hot air balloon pilots from the UK, France, Spain, Belgium and the USA are set to attend. London City Airport has also commissioned its own hot air balloon to join the extravaganza, affording Londoners spectacular views of the colourful display. The regatta recreates the first ever balloon flight which took place in Britain in 1784, by pioneering Italian aeronaut, Vincenzo Lunardi. An aerial extension of the historic Lord Mayor’s Show, the regatta is designed to raise awareness of and funds for the Lord Mayor’s Appeal. The Appeal supports hospital and community outreach through music, working with St Paul’s Cathedral and the London Symphony Orchestra. The Lord Mayor and Lady Mayoress plan to fly in the official Lord Mayor’s Appeal hot air balloon. “The Lord Mayor’s Balloon Regatta is the very highest of highlights – celebrating the tremendous contribution of business to their communities, 1000 feet above London! “The Regatta raises funds and awareness for the Lord Mayor’s Appeal, through the work of the London Symphony Orchestra Discovery programme, St Paul’s community projects in East London, and Music in Hospitals. Due to the weather-dependent nature of hot air ballooning, this event is on standby for every Sunday morning in June and will proceed on the first available of these dates when the weather is suitable. The Lord Mayor’s Hot Air Balloon Regatta is brought to life by Exclusive Ballooning, which has helped to raise more than £7 million for charity using hot air balloons at the tool for fundraising. London City Airport was officially opened by HM Queen Elizabeth II on 5 November 1987, and throughout 2017 is celebrating its 30th anniversary year. A fabulous thank you to everybody who helped make this year’s RICOH Lord Mayor’s Hot Air Balloon Regatta an amazing Success. 47 hot air balloons including the Longelat Lion, The William Hill Scottish Cup and of course the RICOH Imagine.Change. special shape balloons all flew between Tower Bridge and Canary Wharf, heading directly over the O2 and London City Airport before flying out of the city into the Essex countryside. Flying at the from of the pack, Exclusive Ballooning chief pilot Andrew Holly had special VIP guests The Rt. Hon. The Lord Mayor of London Alderman The Lord Mountevans and The Lady Mayoress on board. The press coverage has been huge with Time Out London streaming the event together with ITV London, BBC News, London Standard, Telegraph, Daily Mail… the list is long. We are delighted to announce that this flight has raised £46,750 bringing the total raised so far by the Regatta to over £125,000. For press releases and pictures please contact us on 01453 511280 or via contact on this website. Pilot applications for 2017 will open on December 27th 2016 at 12pm. We are delighted to announce that the 2016 RICOH Lord Mayor’s Balloon Regatta is CONFIRMED for Sunday June 19th. PILOTS – Briefing may be brought forward, you will be informed at the gate. Spectators – The launch site is Burgess Park, Albany Road, SE5 7QH. There is no parking on site, there is no smoking on site. Please do include #BalloonRegatta with all of your pictures and tweets. Intended launch time is around 4:45-5am with expected flight track to the east side of Tower Bridge north of Canary Wharf heading out towards Romford. PILOTS – check your email now – you should have received confirmation PDF showing all launch site information and other Important information. Pilots – you MUST have read through your briefing notes by now. If you have not received them, please check your email spam folders – these were sent May 31st approx 6pm. We are thrilled to announce a three year deal with RICOH who will be the main sponsor of the Lord Mayor’s Hot Air Balloon Regatta from this year. We thank RICOH for their support and faith in the event. The 2016 event dates were confirmed on the Regatta website as June 5th, 12th, 19th or 26th and it was announced that applications will open on January 13th 2016. The team from Exclusive Ballooning were honoured to have been invited to The Mansion House, London for a formal reception hosted by the Rt. Hon. Lord Mayor of London Alan Yarrow. The reception was to celebrate the success of the Balloon Regatta in June of this year and the awareness and funds it has raised already for the Lord Mayor’s Appeal and the City of London. The Lord Mayor addressed the guests and confirmed that the event has his full support and that of The Mansion House and Appeal office. We are therefore delighted that the flight will be moving forward as an annual event. The Lord Mayor’s Hot Air Balloon Regatta flew across the skies of London on Sunday 7th June 2015 in a stunning and historic flight. Launching at just after 5am, forty balloons took off from Shoreditch Park and climbed up and out over the river Thames flying between Tower Bridge, the Shard and Canary Wharf. The iconic London skyline was filled with this unique sight for over an hour, with many people on the ground posting and tweeting pictures of the unexpected sight of the Regatta balloons. Throughout the morning #HotAirBalloons and #BalloonRegatta were trending on twitter. The Regatta is in support of The Lord Mayor’s Appeal, working to raise awareness and funds for the Charity and to promote the City of London and those associated with it. The Lord Mayor’s hot air balloon was the first balloon to take off, followed closely by well known city corporations, who have also chosen to support the charity. These include Aberdeen Asset Management, Fortnum & Mason, Stirling Ackroyd, Renishaw, Ricoh, British Airways, British Telecom and Universal Pictures. This is the first time a mass ascent has flown in London in over twenty years and since then the skyline and airspace has changed dramatically. This event was wholly arranged and devised by Exclusive Ballooning’s Chief Pilot Andrew Holly, Operations Director Louise Moore and Philip Saunders of the City of London Corporation. An idea that initially started in 2013, Exclusive Ballooning set out to raise £50,000 from the event and prior to the launch, Andrew Holly had the pleasure of announcing that the current total raised by the Regatta was an impressive £78,884 and counting! A cheque will be presented to current Lord Mayor Alan Yarrow at Mansion House following the event. THE FLIGHT IS ON. The launch site is Shoreditch Park in central London and the launch time is expected to be around 5am. The weather is looking very promising for a north-south crossing of London and we are delighted to announce that the flight is now officially called ON for tomorrow, June 7th. We will publish more information later today. A further call will be made this evening. Sadly due to a forecast of poor weather, this Sunday’s flight has been stood down. We will now focus on the next flying slot which is June 7th.